Training camp fights are fairly common in the NFL. Tuesday featured a scuffle at Bengals camp thanks to Vontaze Burfict. 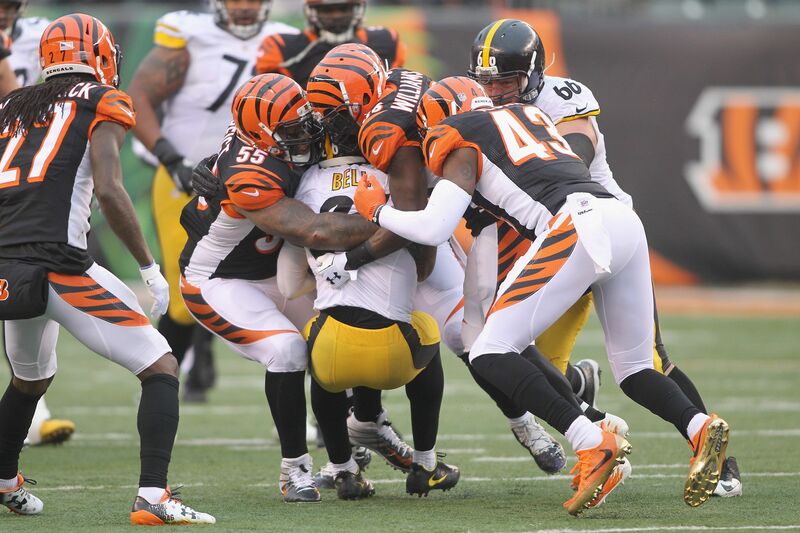 Stop me if you’ve read this before: Cincinnati linebacker Vontaze Burfict caused a ruckus due to a questionable hit. During practice today, Burfict went low on running back Gio Bernard. Check out the video below (NSFW language after the hit). What is really incredible about this is not only is it a needless hit, but Bernard is working his way back from an ACL tear. Does this truly help the Bengals? Burfict has to understand it’s only camp. The Bengals do have some options at the running back position. Incumbent Jeremy Hill is a fine back, while rookie Joe Mixon has earned praise early. However, the Bengals offense is better with a healthy Gio Bernard. On the flip side, Burfict doesn’t exactly have a good track record of understanding when to control himself. He was a prime reason the Bengals choked away what seemed like a sure playoff win in the 2016 postseason versus Pittsburgh. He has been fined almost $1 million throughout his career for dangerous play. Burfict is a very talented and hard-nosed player. He also very much needs to control himself on the field. It’s one thing for Coach Marvin Lewis to defend him when he’s making these plays versus an opponent. It’s a whole other issue when the running back coach has to run into the middle of a play because Burfict goes after the knees of a teammate. Burfict continues to show he’s a reckless player that could once again cost the Bengals when it matters most.